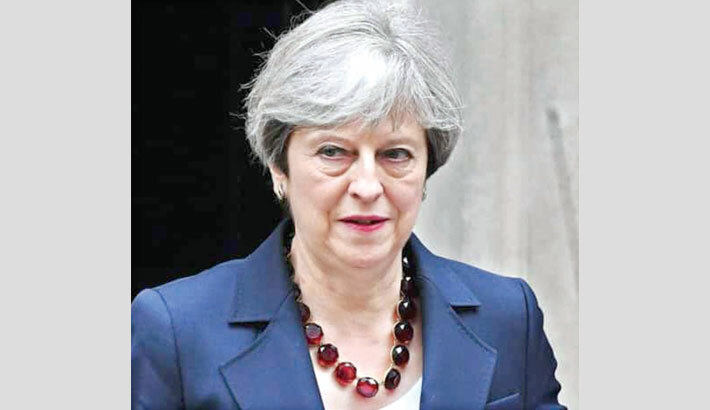 LONDON: Prime Minister Theresa May returns to Britain on Friday vowing to make “every effort” to win over MPs opposed to her EU divorce deal, hours after securing a delay to Brexit from European leaders in Brussels, reports AFP. The embattled premier faces daunting odds to persuade recalcitrant British lawmakers to back a plan they have already overwhelmingly rejected twice by a new April 12 deadline agreed with the European Union. If May succeeds, Britain—which was staring at a sharp cliff-edge deadline of March 29 for leaving the EU—will depart on May 22 under the terms of a withdrawal agreement struck with the EU last year. MPs resumed the debate over Brexit on Friday after the speaker granted an urgent question on the issue. Parliament has been deadlocked for months over Brexit, with lawmakers unable to decide how to implement the 2016 referendum result, reflecting bitter divisions in the country as a whole. The pound rose Friday on news of the delay but was struggling to claw back its latest losses with uncertainty remaining high over what path Britain will now take. European Council President Donald Tusk said the extension left the country with four options. “The UK government will still have a choice of a deal, no-deal, a long extension or revoking Article 50,” he told a press conference. Tusk said April 12 had emerged as the “key date”—the date by which Britain has to register candidates for the European Parliament elections.